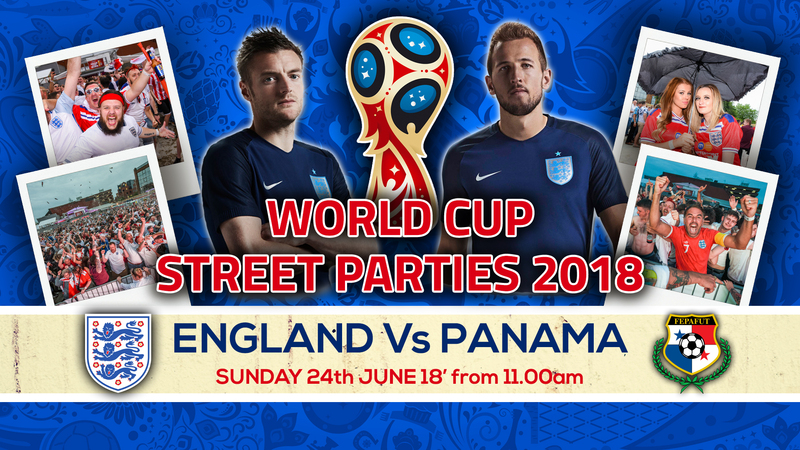 ​Our next event see's England in their second group game against Panama. Join us for a day & evening of amazing pre & post match entertainment with LIVE! Bands, DJ's, guests, giveaways, eateries and much much more ... We pride ourselves on putting together some of the best outdoor events in the city to watch the major football competitions. 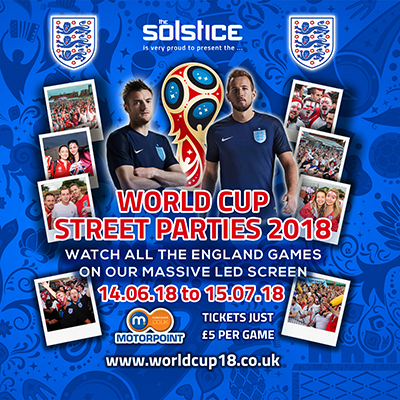 We will have our massive Outdoor bars in the XL Arena with ice cold drinks on tap at fantastic prices and quick service, not only that but we have various outdoor eateries, toilets, face painters and much much more. We will have our stage and concert sound PA set up and the game will be shown on our MASSIVE LED Screen giving you an amazing picture of the game no matter what the weather! 12.30pm - Our resident DJ continues the party atmosphere with a mix of England themed party tunes to get you in the mood! 12.45pm - We welcome back on stage Kev Lawrence and resident DJ to get the final 15 minutes hyped up for kick off! Inc all the news from the England camp and line-ups. 1.45pm - Half Time we have a competition to WIN a Pair of Tickets to a event at a Motorpoint Arena! 2.45pm - Game finishes and we have our Band 'The Chuck Norris Experience' & Resident DJ continuing the party all afternoon and into the evening. 3.00pm - The Chuck Norris Experience will be back on stage for 1 of 2 more 1hr performances other at 6pm + DJ's too!